This legendary golf player entered the world of professional golf in the year 1996 and has been enjoying a remarkable career ever since. Tiger Woods hails from the USA and has won a total of forty golf tournaments over his long illustrious career. In 1997, Tiger Woods earned the highly coveted title of the youngest man ever to win the U.S Masters and to make the achievement even greater, he was also the first ever African American to take the trophy. Tiger Woods was born in 1975 in Cypress in California. In addition to bringing home the U.S Masters Trophy at the age of just 21, he also won a total of thirteen other major golfing events and was announced PGA Player of the Year no fewer than twelve times. 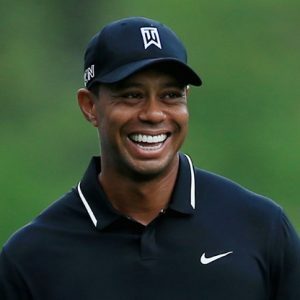 His real name is Eldrick Tont Woods, although early on in his golfing career, he was given the nickname Tiger for his fiercely competitive style and his refusal to ever give up. Tiger Woods started playing golf at a very early age and it was clear right from the start that he had plenty of talent as well as passion that is needed to succeed in the game. Father and son found a way to bond this way and after teaching Tiger Woods how to play golf when he was a child, the man later took on the role as his son’s mentor. At just eight years old, Tiger Woods displayed so much skill and talent for playing golf that he was featured on a number of television shows including Good Morning America. This American success story has long served as a lesson for what people can achieve and many African American men revere Tiger Woods as their hero. He has truly shown that in golf at least, there is no race or age barrier and anyone can become a golfing great as long as they are determined to succeed.